Are you in need of a super special card for an upcoming occasion, or perhaps a cardologist (one who collects cards)? Might I suggest to you the gorgeous folded paper wares from Etsy treasure, Yellow House Handmade. 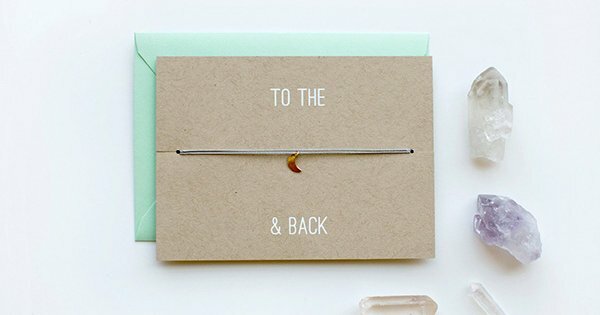 The virtual aisles of this Californian stationery dream are brimming with gorgeous cards made to perfection – and even shows off some serious screen printing prowess! There’s a place for modern cards today, especially for those who haven’t forgotten Australia Post and like to send a card to a friend just… well just because. 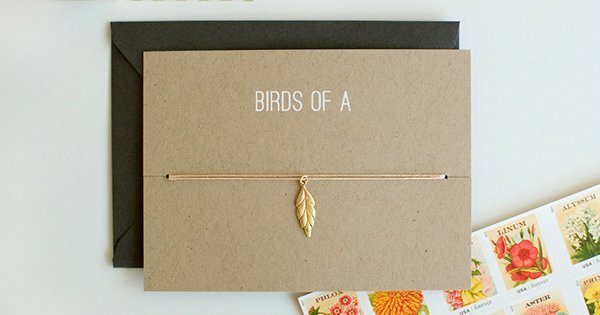 A thoughtful gesture is always welcomed the old fashioned way, via snail mail. 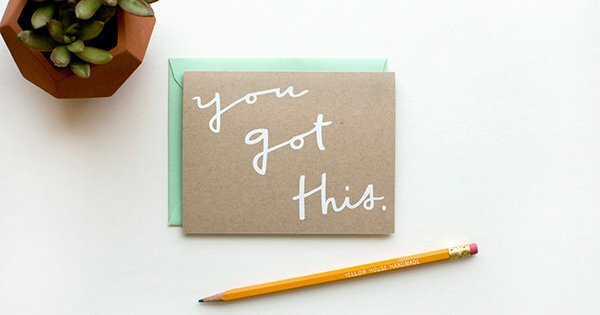 It’s with that postal hug in mind that I adore these cards from Yellow House Handmade – cards that fill the gap in the stationery market that’s not birthdays or anniversaries, it’s just saying hello and I’m thinking of you. Yellow House Handmade use recycled kraft cardstock for their cards, paired with a coloured envelope. 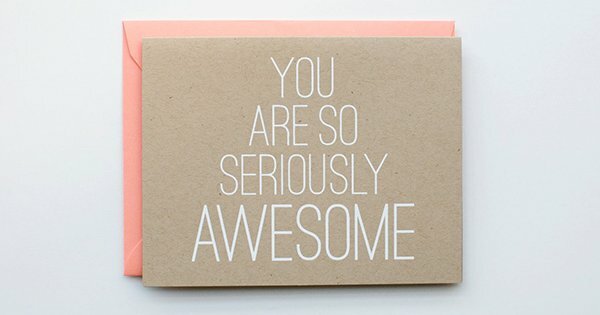 Cards are emblazoned with awesome screen printed messages including ‘You Got This’ and ‘You Are So Seriously Awesome’ and rock a really sweet organic, fun vibe – and all for $7 each. If you want to take it up a notch, you can delve into the Charm Card collection, these beauties are priced $16 and include a charm on nylon coloured cord, designed to be detached and worn as a bracelet or necklace, a sweet gift for tweens and teens. See the whole collection available at Etsy’s Yellow House Handmade, which delivers internationally to Australia.